The annual Product of the Year programme was established to provide CSE readers with information about new products in the HVAC, fire/life safety, electrical and plumbing systems engineering markets. This year, readers recognized the B&G Suction Diffuser Plus with a Bronze Award in the HVAC category. 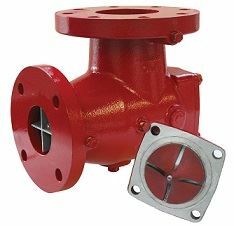 The Suction Diffuser Plus is a flow-straightening centrifugal pump accessory that helps maintain efficiency, improve flow conditions and eliminate recirculation zones, reducing energy waste. The Flow Cone technology enables the pump accessory to retain as much as 5% more efficiency than similar products, ensuring high pump efficiency for a broad range of HVAC applications.